Having misaligned teeth can make some people feel self-conscious about their smiles. If that sounds like you, orthodontics can help! Sometimes in life, you don’t really realize how much something has been bothering you until it ceases to be a problem. This seems to be true for many of our patients here at Langely Orthodontics, when it comes to their misaligned teeth. Misaligned teeth can have a negative impact on your health in several different ways. 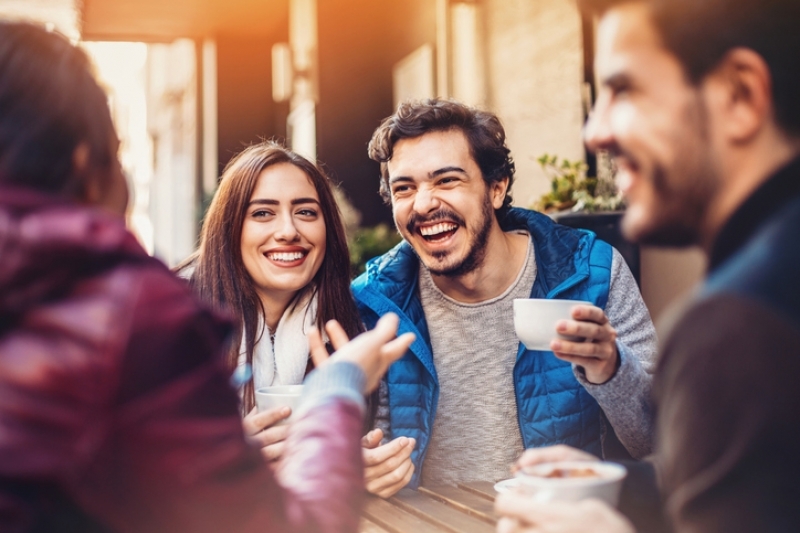 Many of the same factors that create health problems can also make social situations stressful or problematic. Malocclusions can make breathing, eating, and even talking difficult. These types of health factors can also make social situations uncomfortable. Oftentimes, adults become accustomed to dealing with these social problems (having done so since childhood) and have accepted them as part of their daily lives. They tend to come up with 'band-aid' solutions for dealing with these issues, rather than actually fixing them. Very often, however, after they finish orthodontic treatment, many of our patients start noticing how much their self-consciousness had actually been holding them back socially or in the workplace. They comment on their increased confidence in doing regular, day-to-day things like eating, talking, laughing, or having their pictures taken. Patients who used not to feel comfortable eating around others now do so without giving it a second thought. And those who didn't ever smile or laugh in photos do so naturally. Some patients even speak and offer up their opinions at work with more confidence since they’re no longer concerned about what others will think of their teeth. If you're avoiding orthodontic treatment or are unsure if it's right for you, schedule a no-obligation consultation with us today! We’d be happy to help you get started on the path to a healthier, more confident smile.